According to the Business Insider, Management consulting services should be a boom industry this decade. The percentage growth predicted is 82.8% from 2008 to 2018. 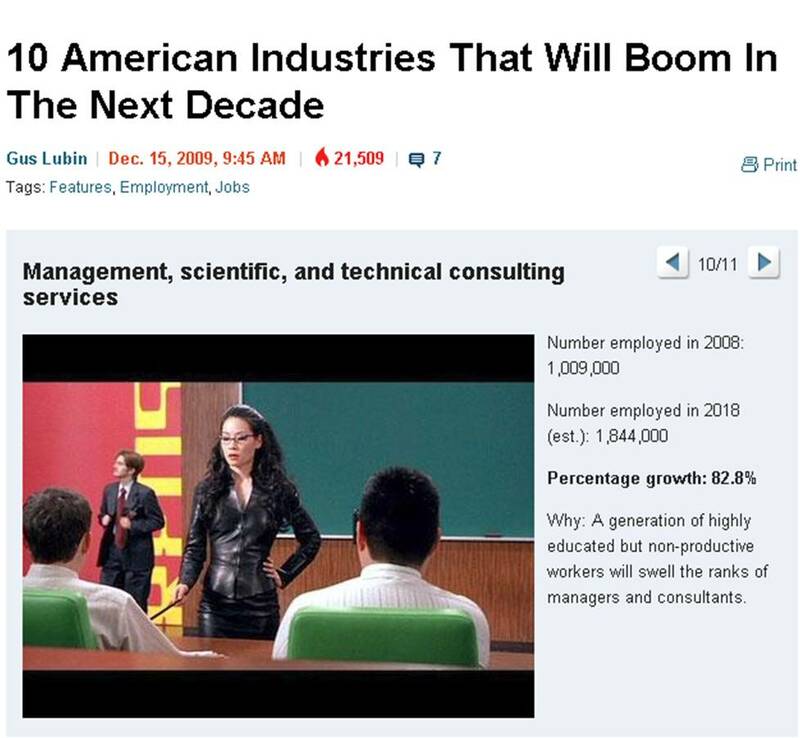 According to business insider this will occur because: A generation of highly educated but non-productive workers will swell the ranks of managers and consultants. Yikes. If this is true, are we ready and how do we help this generation generate sound and effective management for employee engagement?